Ellan Laser MedSpa is pleased to offer our patients the latest in medical-grade skin care products by SkinMedica. Our medical director, Dr. Burghli, chose these products based on her extensive research and experience. SkinMedica provides a complete line of high end skin care products that help skin to maintain its young and healthy appearance. These products compliment the laser procedures performed by Dr. Burghli. The featured products below are most frequently prescribed by Dr. Burghli. 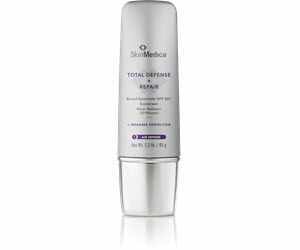 Ellan Laser MedSpa carries the full line of SkinMedica products. For information on the full line, please visit SkinMedica. Contains antioxidants, collagen and proteins that help rejuvenate skin. It improves skin's texture, elasticity and reduces the appearance of age spots*. Extraordinary antioxidant protection from Environmental factors. Slows down aging of skin. Improves collagen production*. 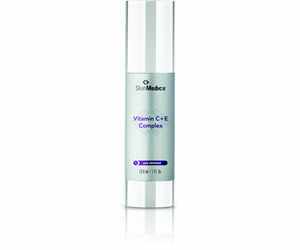 An advanced antioxidant complex that increases skin radiance and clarity. It reduces the appearance of fine lines and wrinkles*. Scientifically proven to reduce the appearance of stubborn skin discoloration & helps balance pigment (or melanin) levels, including non-retinol exfoliation to accelerate skin turnover without visible peeling*. A rejuvenating all in one superscreen that protects from the damaging effects of Infrared-A, as well as UVA and UVB. It also includes an antioxidant blend which corrects signs of aging and supports the skin’s ability to restore itself*. A hydrator that supports the skin's natural ability to replenish it's own hyaluronic acid. Reduces the appearance of fine lines and wrinkles*.